Hendrick Motorsport’s Chase Elliott says he needs to “capitalise” more strongly when he is in position to win NASCAR Cup Series races, after narrowly missing out on victory at Martinsville. Three-time race winner Elliott, who waited 98 racies for a maiden Cup victory, was the only driver to pass the dominant Brad Keselowski on track during last weekend’s race, and was the only Chevrolet in the top 10 at the finish. It was Elliott’s second top 10 finish of the season, but he says the opportunities to win need to be taken when presented to him. “We had a really strong car and the best shot we had to win to date this season,” said Elliott. So when you have cars like that ([today] you really need to capitalise. Elliott was involved in a crash at the season-opening Daytona 500, and took ninth at Las Vegas. 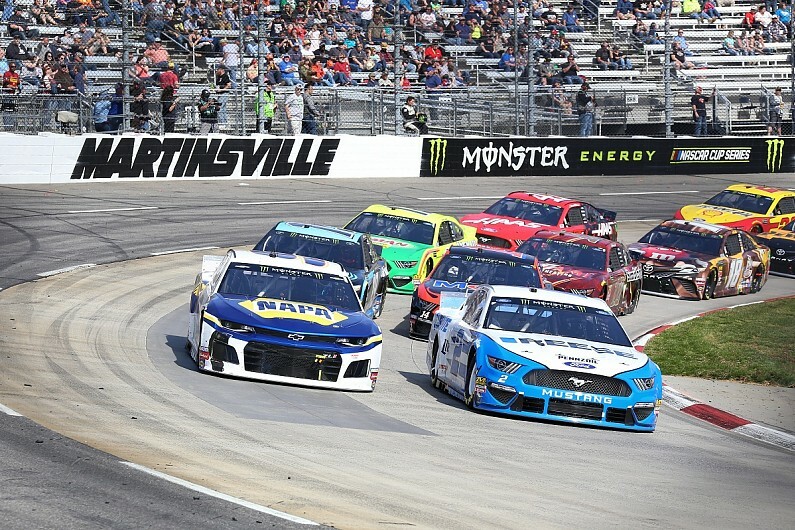 Martinsville marked an upturn in form at the first short track of the season. “I tried to move up and root [Keselowski] off the bottom at the beginning of the run and felt like that was my best shot early as I felt like I was a little better than him taking off [on restarts],” said Elliott. “Then he got a little better than me through the mid-stage and then we finally evened out. I felt like our cars were pretty close. “I thought my car was working a little better than his [Keselowski’s] on the first five or 10 laps then I felt like that was my best shot to get him. Penske driver Keselowski – who took his second win and moved up to fifth in the standings – agreed Elliott was better in short spells.